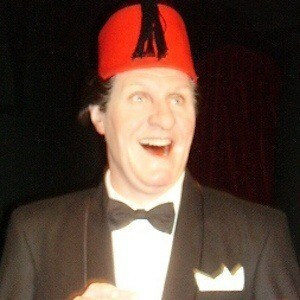 Renowned British comedian and magician who tragically collapsed during a live TV broadcast. The woman who owned the house his family was living in also helped deliver him as a baby. He was a member of the Magic Circle. He was born to parents Thomas Cooper and Catherine Gertrude. His younger brother David opened up a magic shop in Berkshire, which remained there for decades. He was in the British army fighting against Erwin Rommel's forces in North Africa in WWII.